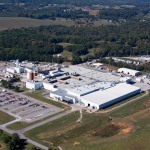 "The composites industry is growing steadily and we are convinced that current and future industry trends will continue to drive increasing demand for glass fiber products"
DENVER--(BUSINESS WIRE)--Johns Manville (JM), a market-leading manufacturer of glass fiber products and Berkshire Hathaway company, today announced it will expand its glass fiber operations plant in Etowah, Tenn., to service the increasing needs of the engineered thermoplastics industry. The North American composite market needs a strong and reliable supply of glass fibers to translate innovations into steady market growth. JM’s operations in North America are ideally located to reliably serve customers across the growing compounding base in the Midwest and Southeast. 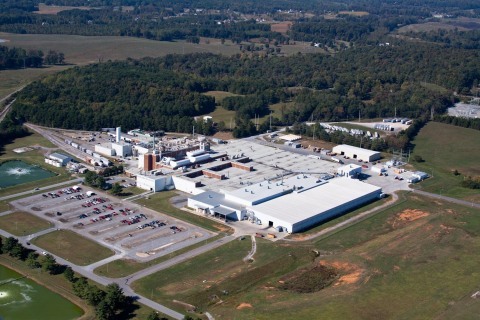 The planned expansion in Etowah includes a new furnace to support the launch of the next generation of global products for reinforced thermoplastic composites. “We are confident this investment will continue to show JM’s commitment to this industry and to our customers,” Sapp said. The new furnace, due to start up in mid-2016, will allow for production growth and flexibility within JM’s product families for polyamides, polyesters and polypropylenes that are used in automotive, electrical and consumer applications. Johns Manville, a Berkshire Hathaway company (NYSE: BRK.A, BRK.B), is a leading manufacturer and marketer of premium-quality products for building insulation, mechanical insulation, commercial roofing, and roof insulation, as well as fibers and nonwovens for commercial, industrial and residential applications. JM serves markets that include aerospace, automotive and transportation, air handling, appliance, HVAC, pipe and equipment, filtration, waterproofing, building, flooring, interiors and wind energy. In business since 1858, the Denver-based company has annual sales of approximately $2.6 billion and holds leadership positions in all of the key markets that it serves. JM employs approximately 7,000 people and operates 44 manufacturing facilities in North America, Europe and China. Additional information can be found at www.jm.com.